Offered in United States between 10:00 PM MT on April 14, 2019 and 12:00 PM MT on October 14, 2019 ("Offer Period"). During the Offer Period, you will receive 25% off the purchase price (excluding applicable taxes) when you purchase a 1 year / 1 device subscription to Webroot SecureAnywhere® AntiVirus for PC Gamers. Offer applies only to subscriptions purchased from www.webroot.com or by phone at 1-866-350-6089, and is available only while supplies last. Not valid on previously purchased or out-of-stock merchandise. May not be combined with any other offer, coupon or discount. Webroot reserves the right to modify, cancel or terminate this offer at any time without notice. Void where taxed, restricted or prohibited, and to employees of Webroot and participating online affiliates. At Webroot, we take pride in our antivirus software's ability to work effectively behind the scenes. When we heard from office gamers that they do too, we got down to designing a product from the ground up to secure Gaming PCs without slowing them down. If you're not convinced it protects without impacting gameplay, we'll refund your purchase price within 70 days. Guaranteed. Gamers are likely to be more susceptible to online threats than your average user. There's the fact that they conduct more online activity than the average user, sure. But the proliferation of online gaming retailers and in-game microtransactions opens up gamers to even more cyber threats.  Webroot is uniquely positioned to protect PC gamers unwilling to sacrifice speed or performance from the online threats they face. Its industry-leading endpoint agent doesn't hog system resources and scans last only around 20 seconds. Webroot doesn't require a "gamer" or "silent" mode because it's used to working in the background, completely securing your PC without interruptions. The system optimizer feature also helps protect your privacy by erasing browsing history, cookies, and caches, while reclaiming valuable hard drive space by deleting unnecessary files, ensuring your system is always performing at its peak. Whether its built-in hardware or an accessory, webcams can be especially vulnerable to cyber crime, giving hackers eyes and ears wherever you access your device. Internet security software is your surest safeguard against threats like malware hijacking your webcam. Webroot is informed by the largest threat database of its kind, which updates seamlessly via the cloud. As long as you're connected to the internet, you're benefiting from its threat intelligence, with updates and definitions added silently in the background. Guard your hideout with a shield that secures incoming and outgoing traffic. Stay in control of which programs connect to the internet and when with advanced network protection from Webroot. System Optimizer is a privacy protection and system maintenance tool. It erases past online activity including browsing history, temporary files (the cache), and cookies to protect your privacy. It also reclaims hard drive space and improves performance by deleting unnecessary files. Guard against specialized malware capable of monitoring your internet browsing habits and recording your keystrokes. Protects your usernames, account numbers, and other personal information against keyloggers, spyware, and other online threats targeting valuable personal data. We want to be your preferred solution for securing your PC without hampering performance. If you're not convinced it protects against malicious malware without impacting gameplay, we'll refund your purchase price within 70 days.